Andrea Herrera is a second-year Psychology and Social Behavior major. Andrea exemplified what a dedicated member she was by attending several community service events, socials, study hours and fundraisers. She went the extra mile to participate and work hard to make fundraisers successful this month. 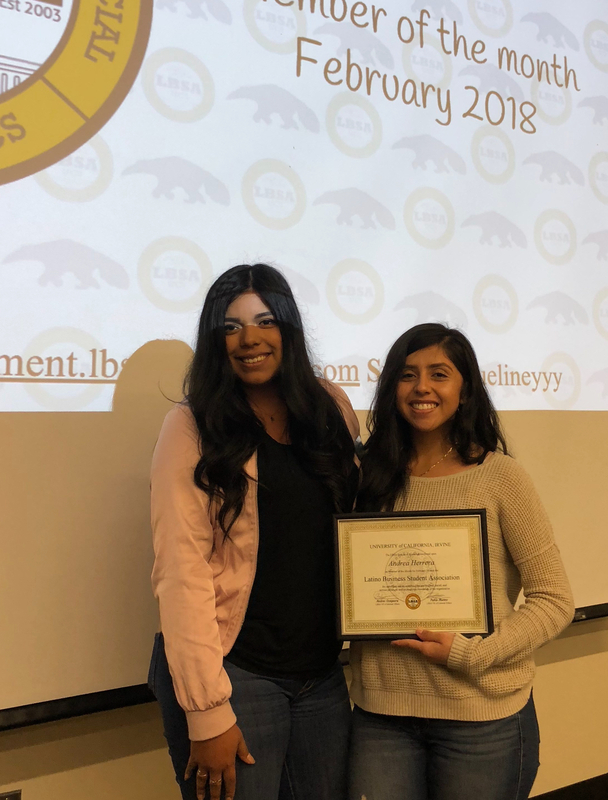 By providing positivity, assistance and devotion to exemplifying LBSA’s three pillars she earned member of the month for February 2018.